We can produce moulded or centrifugally cast pulleys in polymers such as Polypropylene, Nylon and Teflon. These are balanced and retrofitted to couplings or bearings as required. 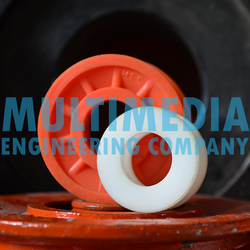 Moulded pulleys are custom made as per specifications provided by customers and only produced in greater quantities. Glass Agencies EROSE are manufacturer of Plastic Pulley. Keeping the variegated requirements of our customer in our mind we are engaged in practicing the business of Ceramic Plastic Pulley to meet the needs of our dear customers. It is the most commonly used component which are mainly used in textile industries. We are introducing it to you to give you the good sliding friction. Three polypropylene pulleys of dia 50, 40, 30mm in an aluminium frame with two hooks. We are engaged in offering our prestigious clients a very fine quality and premium range of Pulleys Plastic 525-21. Our quality controlling staff take appropriate measures to fabricate these products as per national and international standards. Our products are in huge demands among clients in all over India. 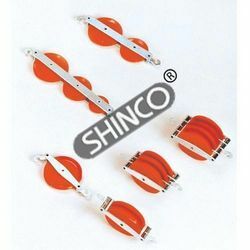 We are leading organization, actively betrothed in providing Plastic Timing Pulleys. Moreover, we offer this product at nominal costs.